Here the latest volcanic news. 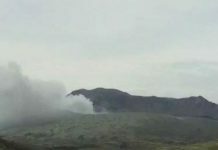 Eruptions continue at Agung (Indonesia), Sierra Negra (Galapagos), Pacaya (Guatemala), Planchón-Peteroa (Chile) and Kilauea (USA). Be safe! 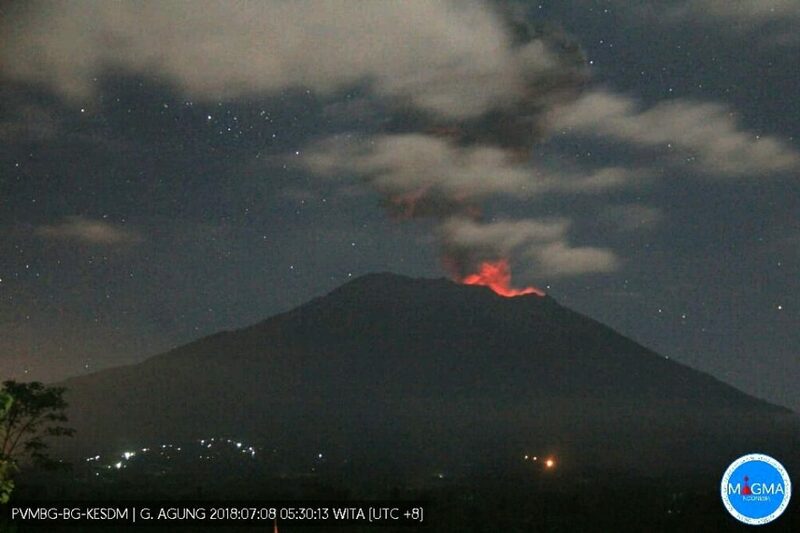 After the strong strombolian eruption of July 2, the Agung volcano has exploded almost every day, sending some small plumes of ash and gas high in the sky over Bali, Indonesia. Incandescence was observed at the summit on July 6 in the early evening, around 19:21. 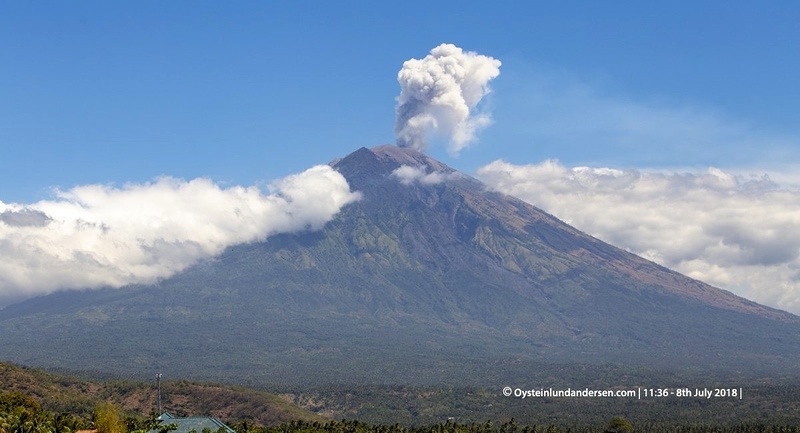 On July 8, 2018, the volcano had a new strombolian eruption at 4:22 am WIB, which was followed at 10 am by a larger explosion having a duration of 150 seconds and an amplitude of 24 mm on the seismogram. New ash emission was reported at 16:00. 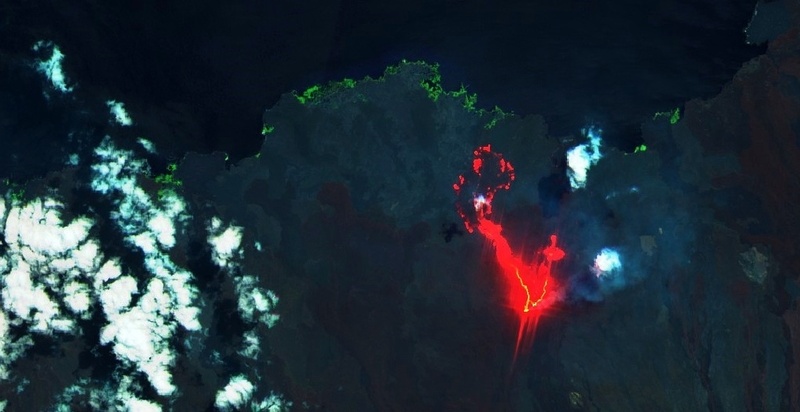 New satellite images from Sentinel 2 shows a bifid lava flow and incandescence along the sea side at Sierra Negra / Galapagos. Moreover, thermal anomalies were photographed by Mirova. Between 5 and 6 July at 11am, 106 volcano-tectonic earthquakes, 51 LP earthquakes and 3 VLPs were recorded. Moreover, the observatory captured a signal of tremor from 17h on July 7th. This is a precursor of eruptive activity. 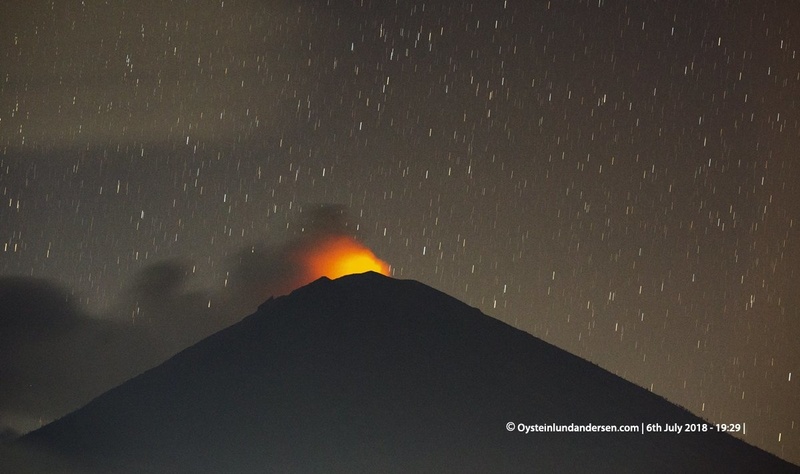 According to Insivumeh the Pacaya volcano in Guatemala is increasing in intensity with seismicity being characterized by an increase in the internal tremor due to the rise of magma. 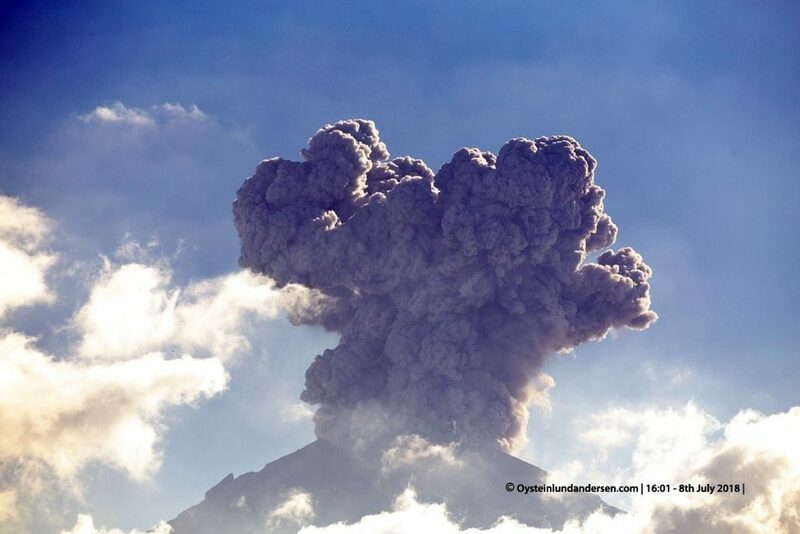 Increased in seismic and volcanic activity at Pacaya volcano in July 2018. 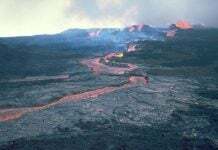 A 30 meters wide and 400 meters long lava flow originating from the Mackenney crater is currently heading north. 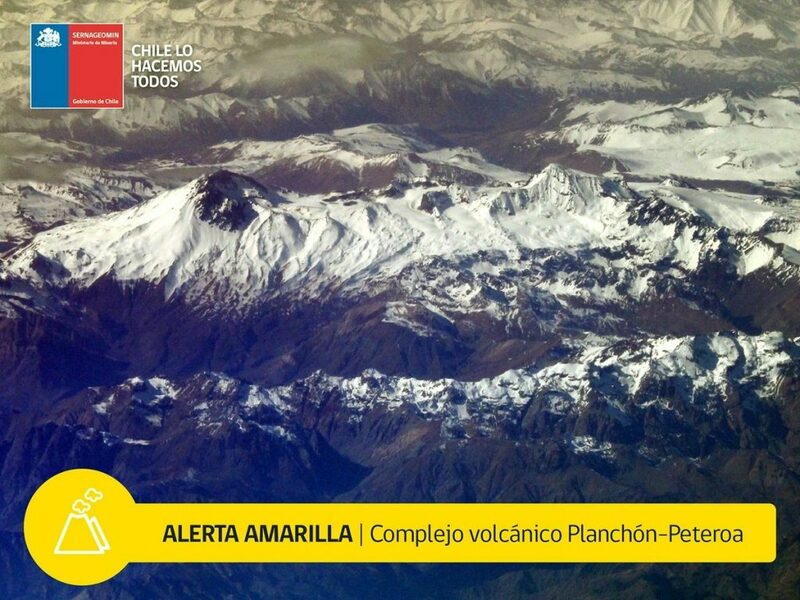 In Chile, Sernageomin raised the technical alert level of the Planchón-Peteroa to yellow / level 2 out of 4, following an increase in seismicity and outgassing on 6 July 2018. 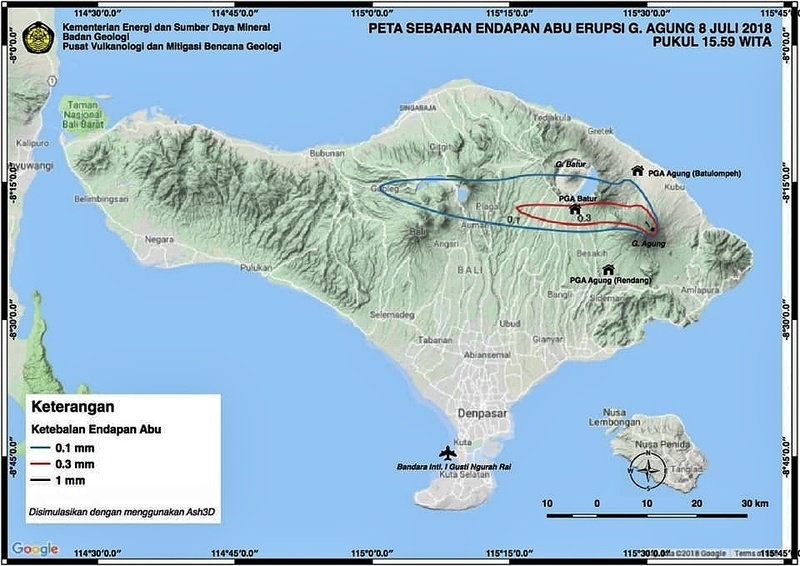 The Civil Protection advises to respect the zone of security of 3 km around the active craters. 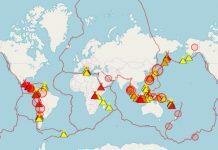 Seismicity consists of volcano-tectonic earthquakes – M1.3 maximum with epicenter about 5.000 meters deep at the NW of the volcanic complex – and LP earthquakes related to the dynamics of the fluids. The tremor is also rising. 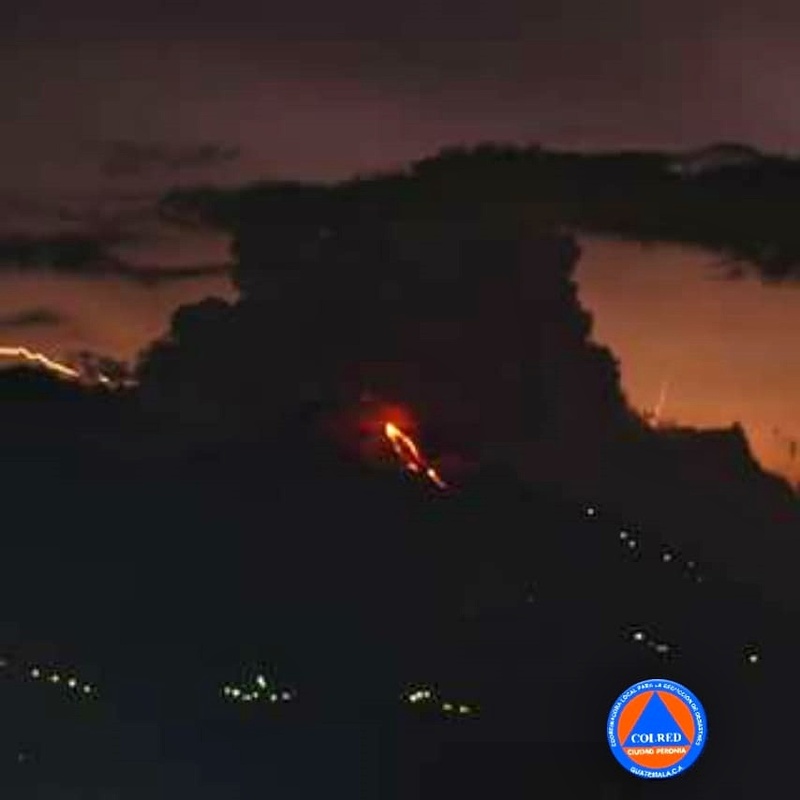 The last eruptive phase of the Planchón-Peteroa – VEI3 – started on February 17, 2011 and ended on June 26, 2011.